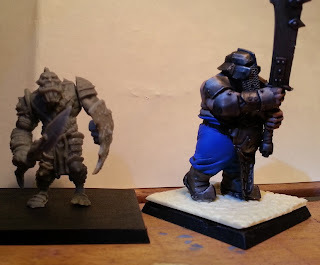 I just got my Kickstarter shipment from Mantic's games and i'm getting ready to build some Ogres, before doing that I shot some pictures in order to give an idea about the content of the Ogre kits. 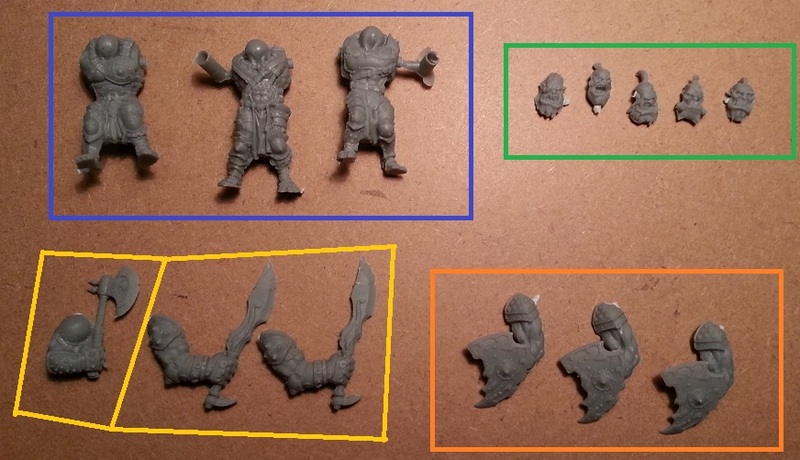 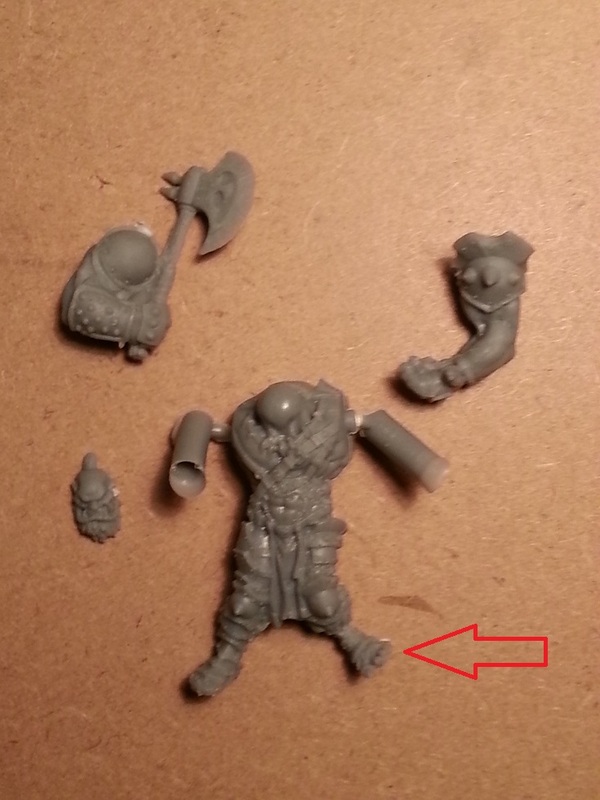 The Ogres (and other brand new minis from Mantic) are casted in hard injected platic that looks a lot like Privateer press plastic. 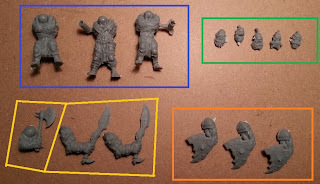 The cast is not bad, there are few mold lines and they are easy to clean. I found some miscast that I was able to fix with boiling water but nothing that demanded a replacement. 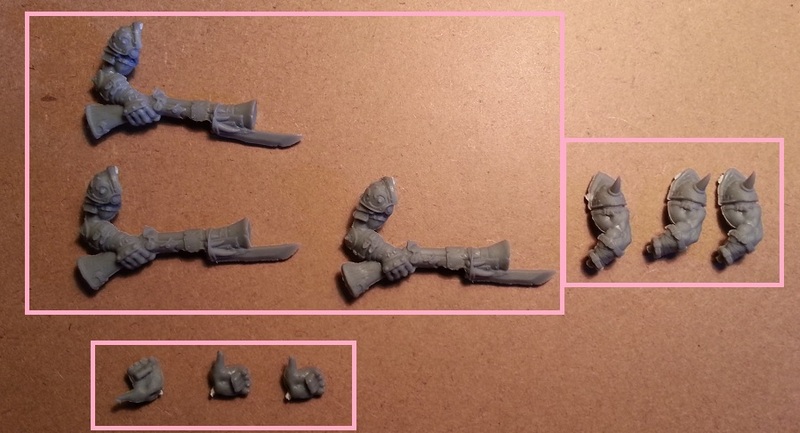 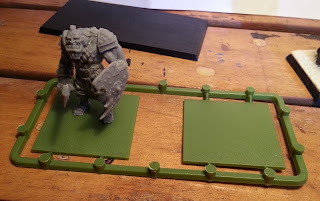 This kit allows to build three Ogres with crossbow or three Ogres with bluderbuss. 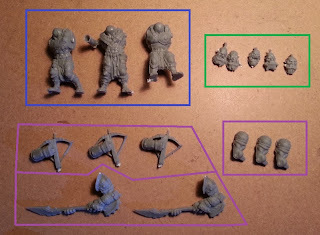 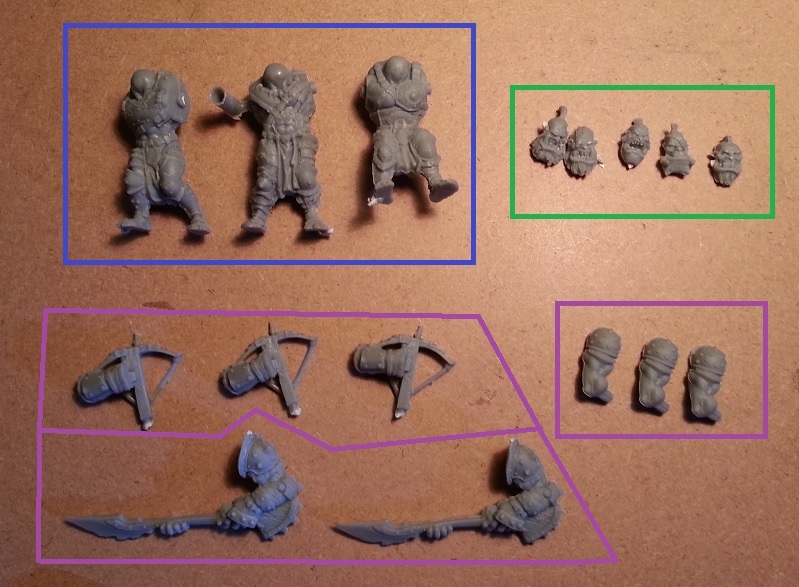 The bodies and the heads are the same of the close combat unit above, then there are three arms with crossbow (identical, in the picture there are just two crossbow since one was missing from the bag) and three arms with bluderbuss (identical).